Just a little more about me………I am in my late thirties (for a little bit longer!) and am married to a wonderful, supportive husband named John. We have two daughters, ages eight and six. I grew up in a truly Christian home; my dad has been a pastor for over thirty years and I have two brothers and a sister, all of whom I love dearly. I was saved at a young age and am so thankful for the privilege of having many years of seeking to know and serve God more. I have a college degree in early childhood education and taught in an elementary school for six years. I have also worked as an executive secretary in a hospital system and briefly as an office manager for a design firm. The last eight years of my life have been primarily spent being a stay-at-home wife and mother. 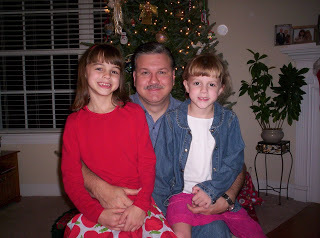 One of the greatest desires of my heart is to have our girls grow up loving and serving God. Through this blog, I hope to find others with the same goal so that we might share ideas and inspirations, trials and triumphs through the coming years. I hope you’ll join me!